When portrait photographer Sue Bryce spoke at our recent Social Media Marketing Summit, she wasn’t speaking to big businesses. Instead, she reached out to what she called “DIY businesses” — small to medium-sized businesses that manage their own social media instead of hiring someone to do it for them. 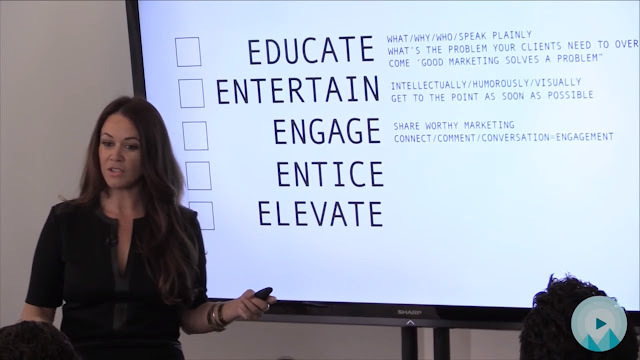 To do that, Sue relies on 5 actions she calls the 5 Es: educate, entertain, engage, entice, and elevate. Learn all about the 5 Es in her segment from the Summit!